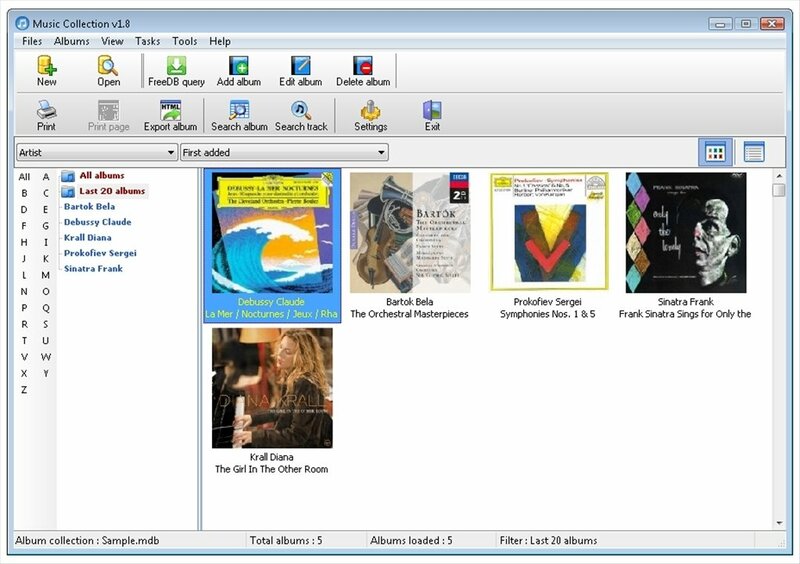 Keep your music collection perfectly organised thanks to Music Collection. 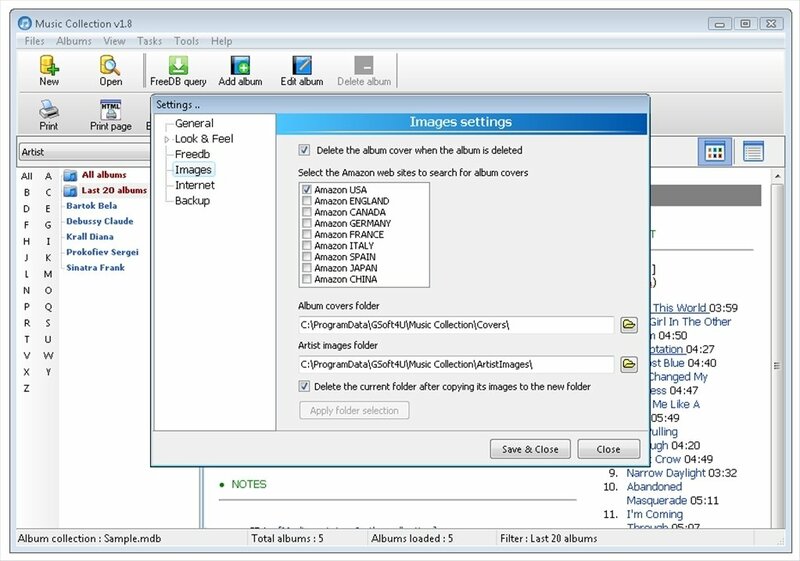 This album and CD storage and management software has everything a music-lover needs. 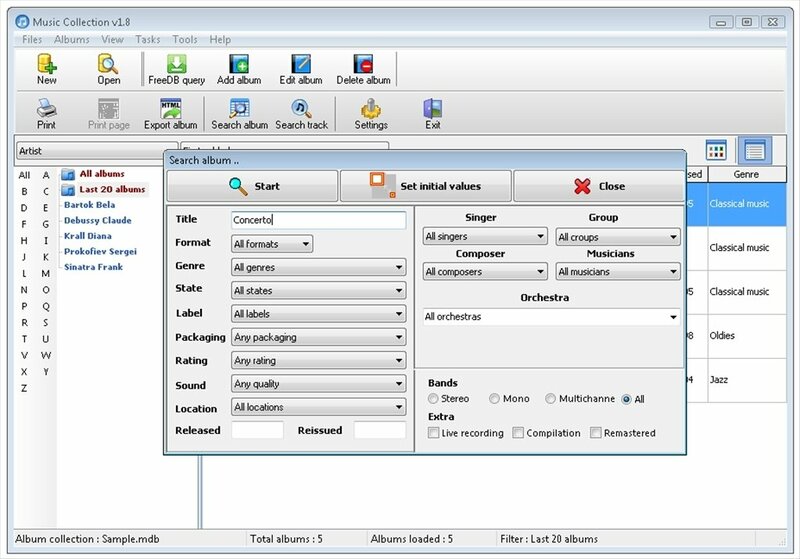 Music Collection allows you to store information about all sorts of music formats and carry out searches by name or in alphabetical order. The data can be inserted into the database manually or obtained from the Internet. 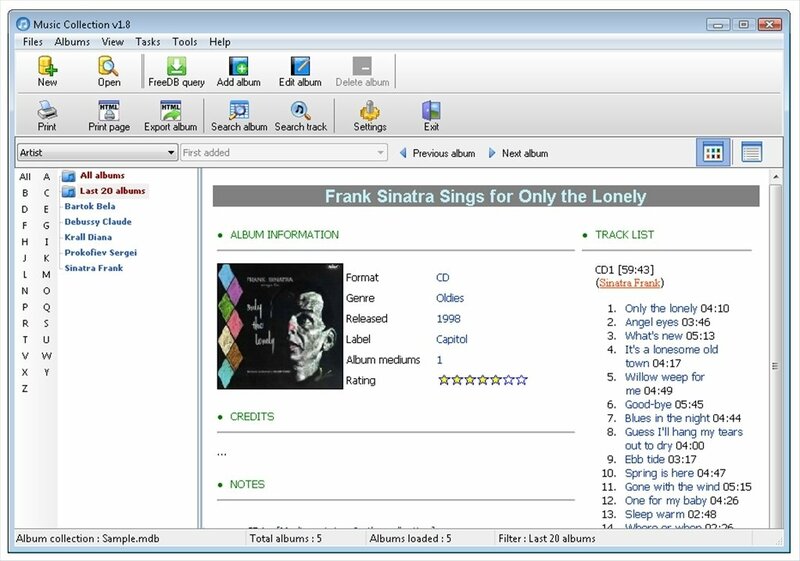 Database in Microsoft Access format. Exports information in HTML format. Shows statistics and generates reports. 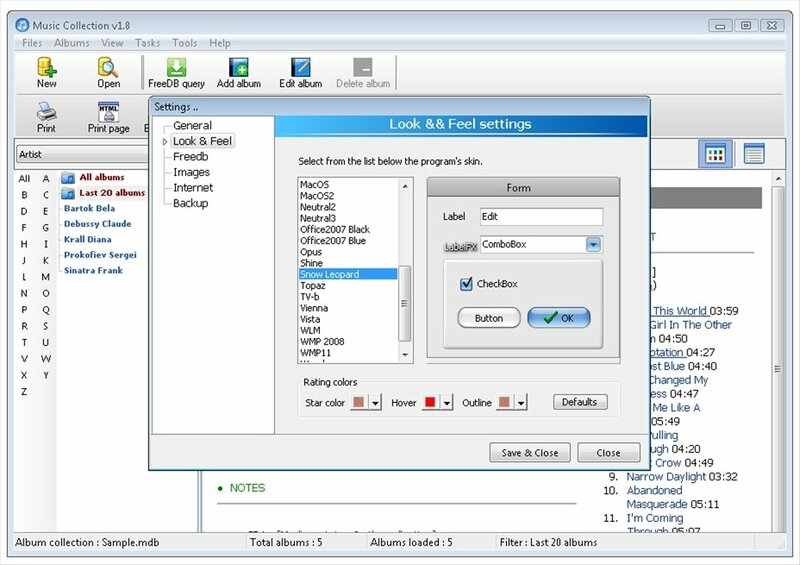 As a music manager, Music Collection can obtain the details of each album from freeDB, one of the most complete online databases. 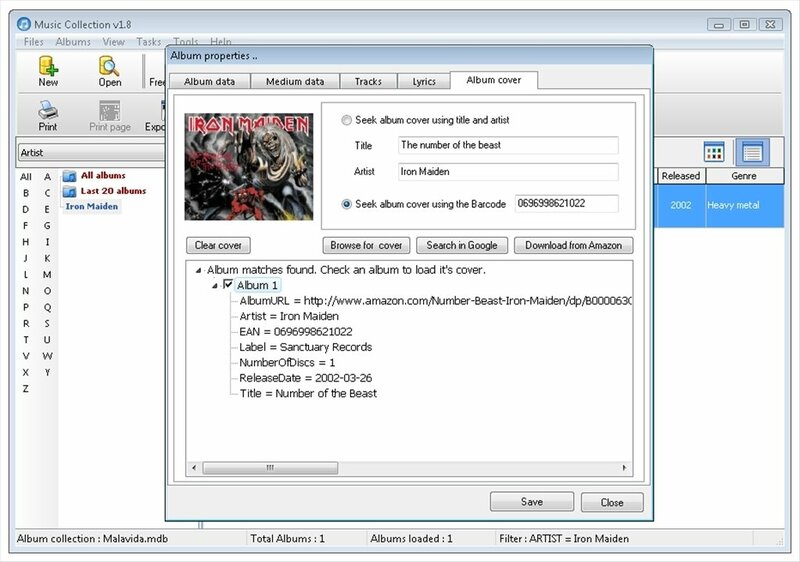 You can also get images of album covers from Amazon. The advanced search filters will help you to locate anything in just a few seconds, and to complete the offer even more, you have dozens of skins to customise the interface.